Not many miles today--for good reasons. Spent most of the morning getting the bike serviced. 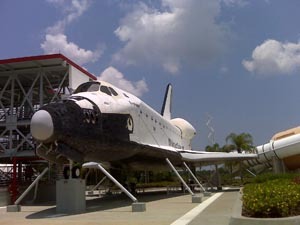 Spent much of the afternoon at the Kennedy Space Flight Center. Could have spent 2 days there and still not have seen it all. Really enjoyed the historical sections--unfortunately, I remember a lot of it!